Getting into Avon Presidents Club is a great achievement for representatives, President Club encompasses the top 7% of representatives in the country. Members benefit from extra rewards including a lovely Gala dinner to celebrate their achievements. Sales can be tracked from the representative website, every campaign it updates and allows you to see what you need to sell on average every campaign to achieve. Presidents Club runs from campaign one to eighteen yearly. With year on year growth representatives can also qualify as Elite with additional Love2shop vouchers. Top Representative Trip – with VIP treatment for top performers. Plus all previous level benefits. Presidents Club Dinners are held for achievers every year, they are a great chance to network. The Top Representative trip rewards top sellers with an exclusive holiday. Previous destinations include New York!! With the Scholarship Programme members have the opportunity to nominate their children or grandchildren to receive a one off scholarship of $2100 USD. 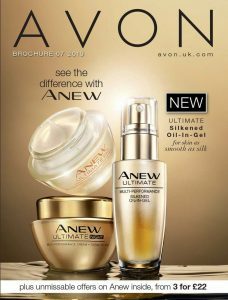 For full terms and conditions visit the Avon website. Linda Stone-Cooper – I came back to Avon in February 2016 after having a year out after the birth of my 5th child. The best decision ever! In the years I had done Avon before I never managed to achieve Presidents Club and this time around I did it in 10 months, so was really pleased with that.